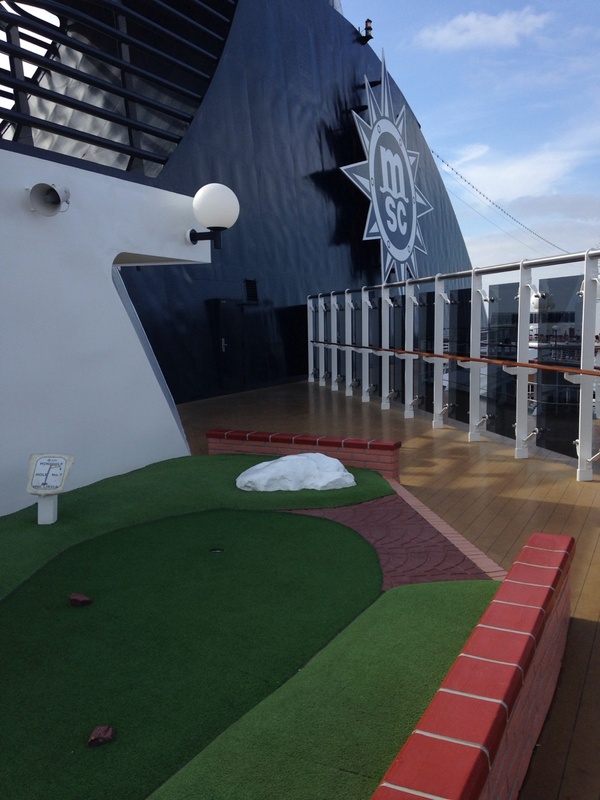 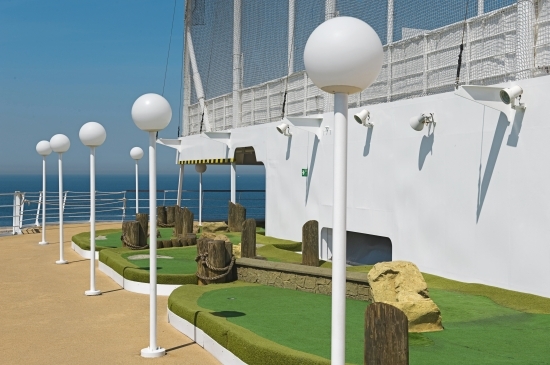 The Sun Deck features numerous areas to sunbathe, as well as shuffleboard and mini-golf course. 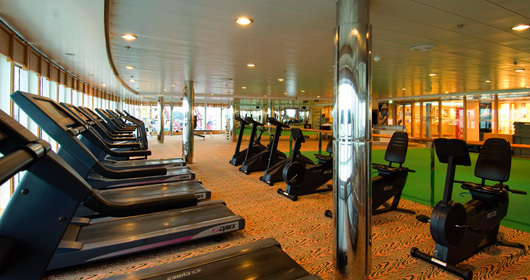 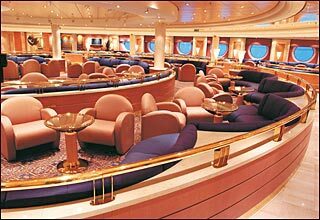 The Rossini Deck features staterooms in category 11 as well as the Blue Club, Virtual Reality gameroom, and jogging track. 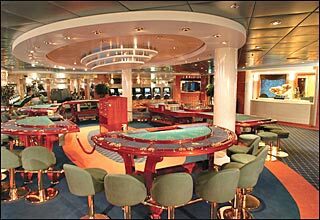 The Vivaldi Deck features Le Bistro, La Pergola Restaurant, Le Piscine Pool Area, La Canzone Del Mare Pool Bar, Ice Cream Bar, Beer Bar, I Pirati Children's Room, Le Terme Steam Room and Sauna, the Lirica Health Center, Beauty Parlour and Gymnasium. 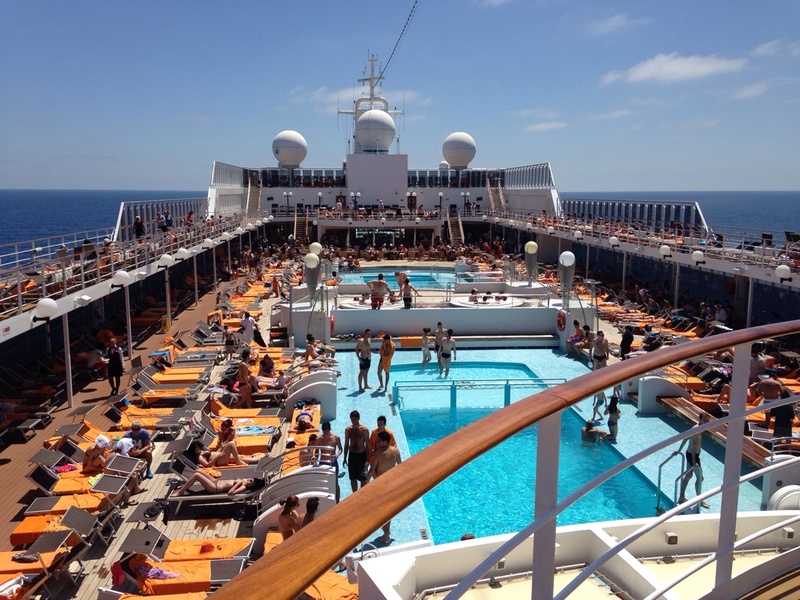 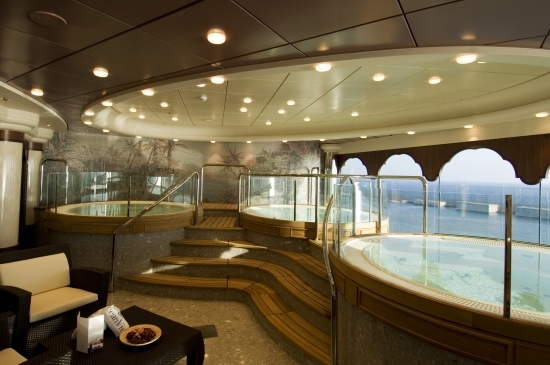 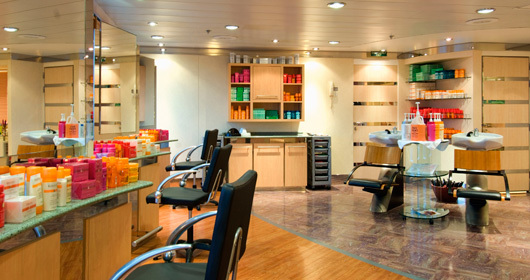 The Bellini Deck features staterooms in categories 11, 10, 6 and 5. 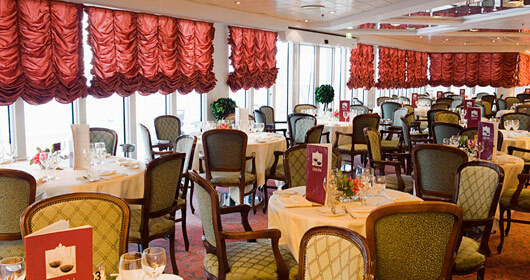 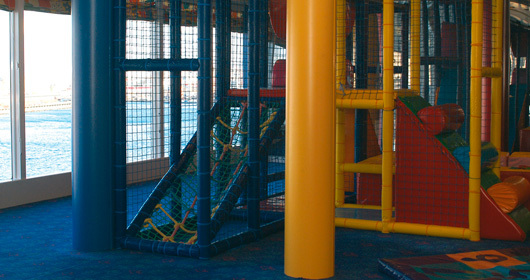 The Albinoni Deck features staterooms in categories 10, 9, 6 and 4. 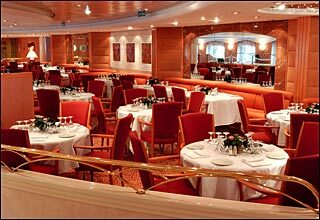 The Paganini Deck features staterooms in categories 8, 6 and 3. 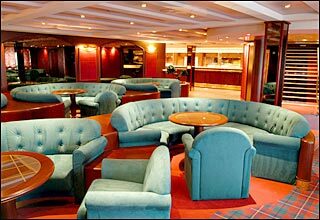 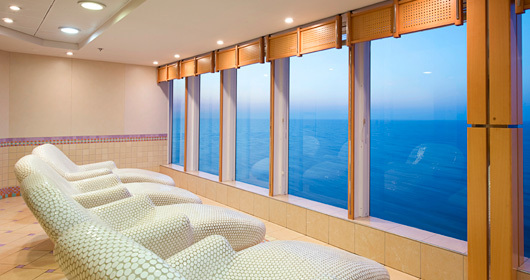 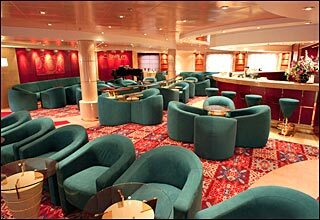 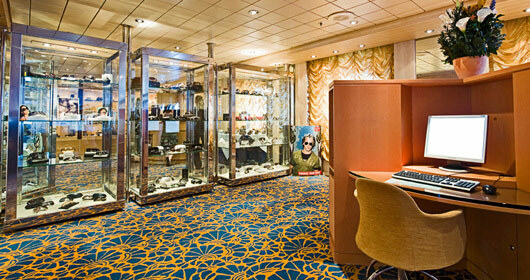 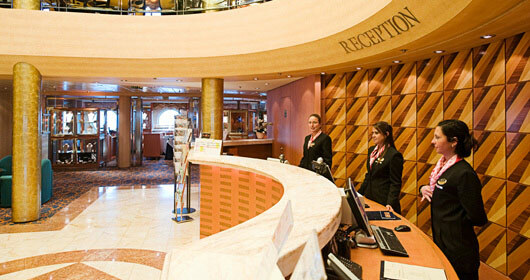 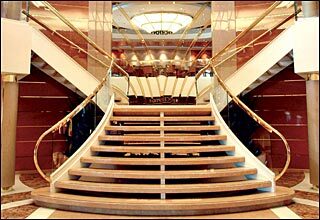 The Scarlatti Deck features staterooms in categories 7, 6, 2 and 1, as well as the Lirica Lounge. 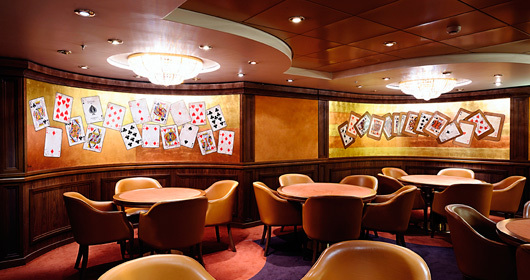 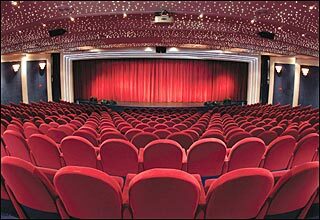 The Puccini Deck features L' Ippocampo Restaurant, Cyber Cafe, Photo Gallery, L' Atmosphere, Las Vegas Casino, card room, Library, Le Cabaret, the Coffee Corner and the Broadway Theatre. 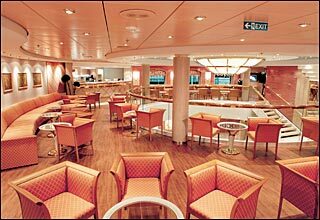 The Verdi Deck features the Broadway Theatre, La Bussola Restaurant, Shops, the Beverly Hills Bar, Wine and Spirits Shop, reception area and Lord Nelson Pub.